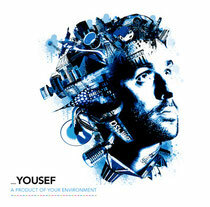 Yousef’s second complete artist album, ‘A Product Of Your Environment’, is due out this autumn on Circus Recordings. It moves away from the usual process of a beat led project that has become so familiar among DJs, as the album is designed to be listened to from start to finish as a complete work. With full songs, complete instrumentation and a focus on melody the album equally takes time for a sophisticated selection of serious club workouts. 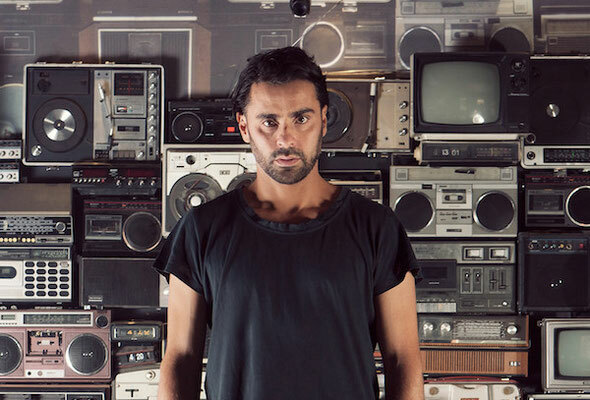 While reflecting Yousef’s standing as a global DJ, ‘A Product Of Your Environment’ is influenced by Yousef’s personal history and global travelling exploits yet nodding to melancholic Pink Floyd, Radiohead and Prince as much as wild moments on the floors and booths of Cocoon, Circo Loco and Space. Already the dance floor workouts have received heavy support from DJ elite, with Loco Dice, Magda, Carl Cox, Guti, Uner and Nic Fanciulli already wearing thin the promo copies. The project has allowed Yousef to open up his collaborative instincts too, inviting some unknown but extremely talented musicians to perform. Each track has been produced, played on, arranged and mixed by Yousef, with collaborations coming from Mercury Prize nominee Gwilyam Simcock on the open and fresh sounding album finale ‘Dissolve’. ‘In Fear Of Dusk’ features Neil Campbell; one of the UK’s finest classical guitar players, creating a track that is arguably Yousef’s strongest (and most complicated) club offering yet. The rest of the talent includes songstress’ Candie Payne and Charli Taft, with male vocals put forward by relative unknowns David Williams and Tom Crew along with Chicago house legend Alexander East on ‘Think Twice’. Only one track, ‘Had No Sleep’, doesn’t feature lyrics written by Yousef, adding to the directorial approach he has taken. The album also features the talents of Binary Cell Studio’s Stefan Kazassglou and Mark Brocklesby, who helped record the vocals and live piano and play some of the extra live instrumentation on the assignment. It’s out 15th October, for more info go to www.yousef.co.uk.